He is fighting the battle of his life due to heart defect. Donate and save him now! 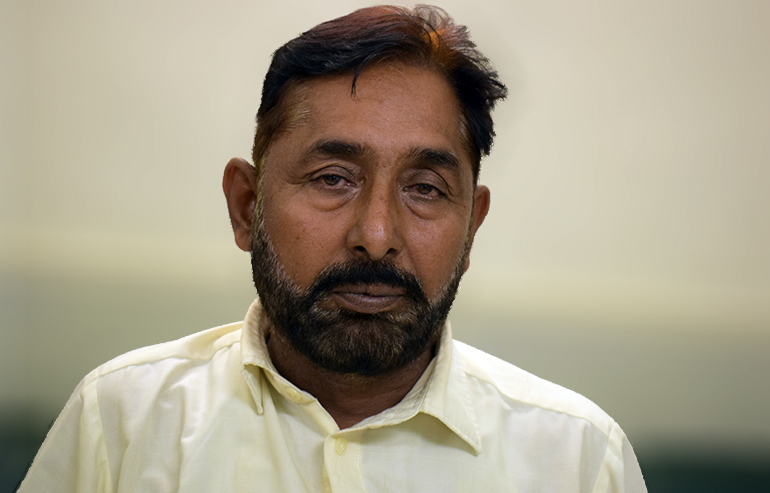 Muhammad Bilal is a 49 years old man who lives in a small village of Pakpattan with his wife and 3 children. Around 3 years ago, Muhammad felt severe chest pain. He took medicines from a local clinic without undergoing any tests. He couldn’t get relief from medicines and his pain started growing along with breathing difficulty. When his symptoms became worse, he finally visited a hospital in Lahore where his angiography was done. Muhammad was diagnosed with Triple Vessel Disease and doctor recommended him to undergo open heart surgery as soon as possible otherwise it could lead to further health complications and even death. He requested a few local hospitals for free surgical treatment but they already have long list of patients waiting for their surgeries. Muhammad cannot afford to pay for his surgical expenses at private hospital. He owns a tea stall and hardly earns around 15,000 rupees a month. He cannot even buy medicines for his heart let alone surgical procedure. He came to know about Transparent Hands through an old patient and he immediately came here. Muhammad Bilal is now scheduled for his Open Heart Surgery at National Hospital, Lahore. His health is deteriorating with each passing day. He is unable to work due to his chest pain and breathing difficulty. We request you to please donate for his surgery as much as you can so that he can get rid of all his painful symptoms and start working and earning for his family again. Muhammad Bilal 49 years old man was suffering from severe chest pain from last 3 years. His Angiography was done and was found to have tripple vessel disease. He was advised open heart surgery- (CABG) coronary artery bypass graft. His surgery was done in National Hospital & Medical Center on 16-10-18 by Dr Ahmed Shahbaz. He stayed for 6 days in hospital and recovered well. He was discharged in good health.